(EKG Cert NEW! ), Cardiac Monitor Technician, I.V. Tech, Clinical lab, Medication Tech, + 2 national certifying exams in EKG and Telemetry. 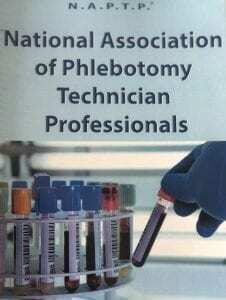 Hard copy books for both phlebotomy and ECG/Telemetry are included along with both national exams. 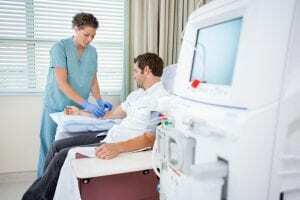 A Cardio-phlebotomist is a specialist in their respective field and are able to work in many different capacities such as an ECG Tech, Telemetry Tech, IV Tech and phlebotomist. 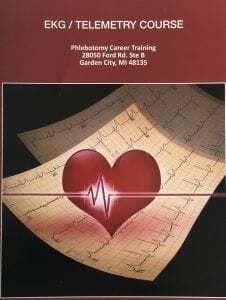 This course helps prepare students to excel in the field of phlebotomy and goes above and beyond what is traditionally expected from a phlebotomy technician. Many of our cardiophlebotomy students become supervisors after 6 months of working. Professor Kimmel, director of the school, has compiled all her years of experience as a university professor and hospital clinician to build courses with a curriculum designed to graduate proficient and competent students in their prospective medical career choice.